A Turkish local court rejected a release order issued by the country’s top court, despite the order's publication in the Turkish Official Gazette today, Cumhuriyet newspaper reported. Turkey’s Constitutional Court on Jan. 11 issued a ruling on two Turkish journalists, Şahin Alpay and Mehmet Altan, saying their 18-month pre-trial detention is disproportionate and ordering their release. On the same day a first-degree court in Istanbul rejected Alpay and Altan’s lawyers motion for their release, arguing that the top court’s ruling was not received by the court in ‘due process.’ The local appeals court upheld the remand of the journalists, saying the Constitutional Court’s detailed ruling had not been not published. The first-degree court on Jan. 12 issued a new decision arguing that the Constitutional Court ‘exceeded its limits as defined by the constitution’ by ordering journalists’ release. Following the publication of the Constitutional Court’s ruling on Turkish Official Gazette, lawyers once again filed motions to the court for the journalists’ release, and for the judges to be recused, Cumhuriyet reported. The first-degree court persisted in its Jan. 12 decision, and rejected journalist Mehmet Altan’s release, it said. Hak ihlali kararına rağmen AYM’yi tanımayan yerel mahkemelerce tahliye edilmeyen gazeteciler Mehmet Altan ve Şahin Alpay’ın avukatları kararın Resmi Gazete’de yayımlanmasının ardından yeniden tahliye talebinde bulundu. 26. 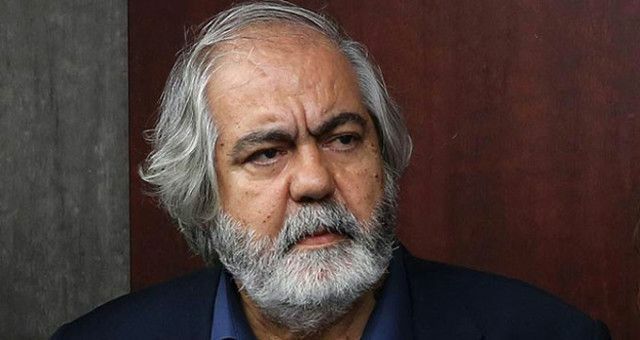 Ağır Ceza Mahkemesi, Mehmet Altan'ın tahliye talebini reddetti.